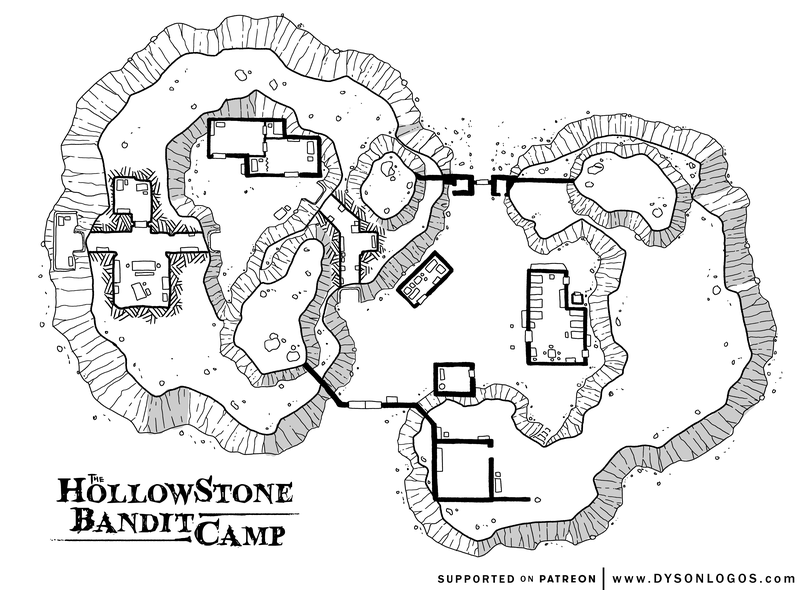 Home to the elven bandit Illsong and their dozen-or-so fellows, the Hollowstone camp sits atop (and cuts into) a small rocky promontory in the False Loch Woods. HollowStone is slowly developing into a small fortress. If Illsong remains untroubled in their occasional banditry and adventuring pursuits, HollowStone will gradually be built up into a potent little keep with its shadow extending over much of the False Loch and perhaps into the bordering principalities. For now through, the camp is a mix of magically-cut passages through the natural stone paired with defenses built out of the tailings from the excavations and some “wall of stone” spells. I know this might not matter but I was wondering, what would you think about this being a camp for werewolves. I’m building a hex map for a region (Droaam in Eberron) and I’m looking for something that can serve as a headquarters for a faction of werewolves.